Chanting the mantra ‘Om Namo Bhagavate Vasudevaya.’ and offering tulsi leaves on Krishnashtami connects us to the Supreme Being. Krishna Jayanthi is a function liked by all of us. Lot of sweets and savories are made for this function. Microwave Paal Kova is the simplest sweet but the yummiest. Lord Krishna's favorite milk, ghee and yogurt are used to make this yummy sweet so lets serve n get the Lords blessings!!! In a microwave safe glass bowl pour in condensed milk, yogurt and 2 tbsp ghee mix it and microwave for 4 minutes. After 1 min standing time remove the bowl using hand gloves and mix it gently add 2 tbsp ghee and microwave for 2 minutes. After 2 min standing time remove it and stir it gently. Now you can find that the color has started to change. Add 1 tbsp ghee and then cook for another 2 minutes. Now after 1 minute standing time you can jump up because the consistency has started coming up. Stir slowly add the remaining 1 tbsp ghee and cook for 2 minutes. After standing time you can find that the ghee is bubbling need to be very careful in handling it because it was damn hot n ensure that kids are not around. Now add just a tsp of ghee and microwave for one more min. Now you can find the perfect sweet shops made paal khoa in minutes. Add in the chopped nuts and do the neivedhyam!!! 1. Ensure to prepare in glass ware microwave safe bowl. 2. Kitchen gloves a must and resting stand is a must. 3. Kids not allowed while preparing this. 4. Measure the ghee and keep it aside. 5. Initially it may look loose once it becomes cold it thickens up it can also be sliced up. 6. Microwave settings differ so it’s better to try it with lesser timings to avoid burnings. Serve to the lord n get his blessings!!!! Thanks for sharing this super delicious recipe. Love this. Surely I'll try this on Janmashatami. Looks fantastic, looks like you are all set for the festival. I love thirati paal. You have made it so simple with the microwave. I make it the usual way, stirring all the way he he!! Yours is quick and delicious! my fav.. highly tempting.. love to give a try soon..
Thats wonderful. Good one for krishna Janmashtami. Thanks for the tip. It shd be useful to others too. This looks so very tasty and so very yum,I am making this right away.Thank you dear for a yummy dish. Making in microwave is sure a nice idea! YummY! Wow...Super easy & super yummy!!! Vowww!!! I luv the pala kova....thanks for sharing quick n simple method using microwave..
Made this and was super easy and yummy. That is a quick and easy way to enjoy pall kova! Looks yummmmm..... i make same way,we called milk halwa or thabdi. Hi!! 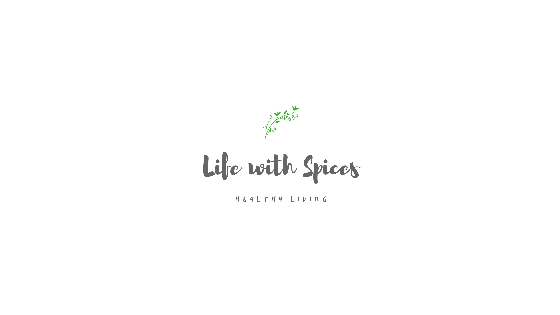 Thank you so much for leaving a kind comment on my space and following me :-) Glad to follow u back :-) This is a lovely quick recipe. I am going to make this for sure and get blessings from Lord Krishna (in the form of prasadam itself :-D) Bookmarked! Love this sweet! It has come out very well!! I learnt this microwave recipe from my friend too. beautifully explained recipe. very easy yet tasty. Oh my, this looks absolutely scrumptious! Trust me, I'm not exaggerating a bit.